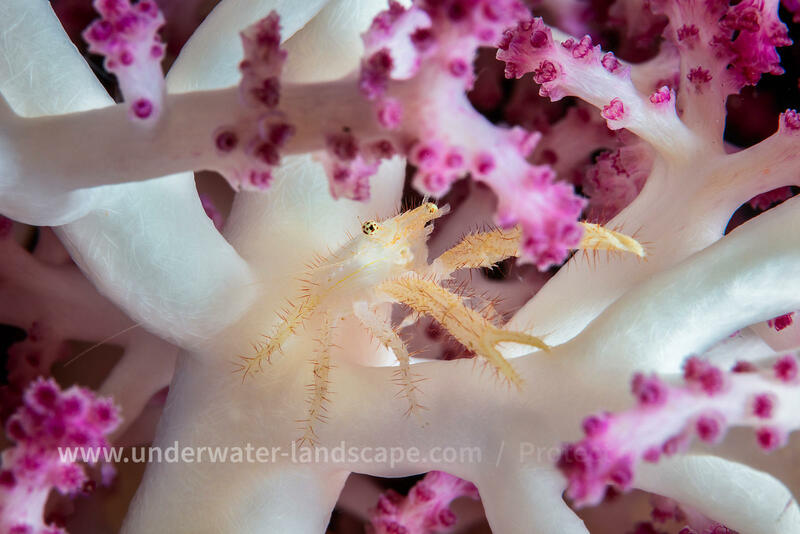 Another photo, this time from the front, of this beautiful little galatea living in a soft coral. 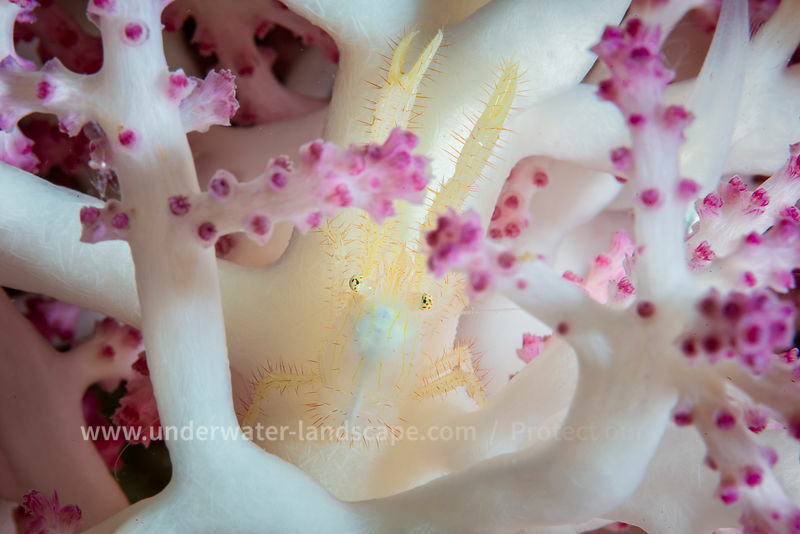 It can be noticed that it has the same color as the coral which serves as shelter. There is therefore a good chance that this species lives only on this coral of the twilight zone. 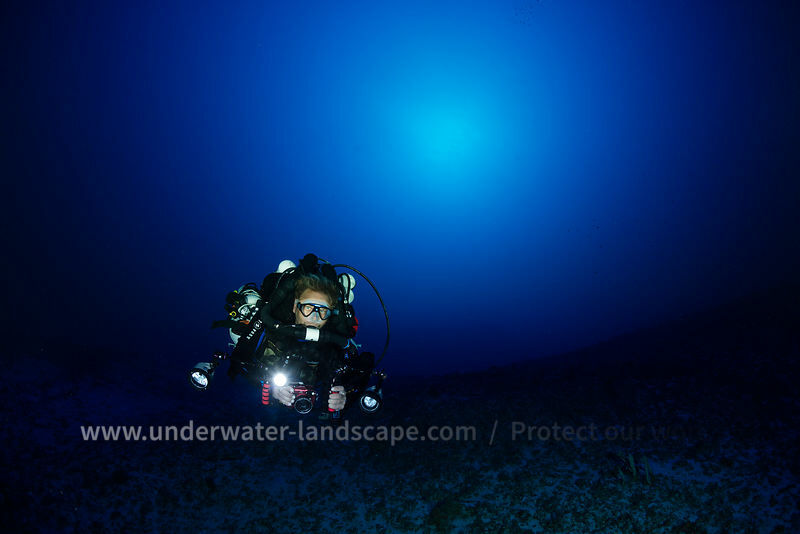 Photo taken at 80 meters depth.